CCMI is always looking for partnerships and collaborators to help us with our mission to become the Caribbean’s premier marine research institute, discovering real solutions to declining ocean health. 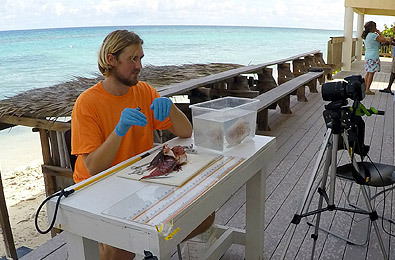 Whether you are looking to kick start your career as a research scientist, would like bring your team to Little Cayman to study, or would like to join us as a project partner, we would love to discuss the opportunities with you. Please contact info@reefresearch.org and we will put you in touch with the right CCMI people. Whether you are a diver who wants to get involved with our education programmes, you have a passion for marine science or love to help with events – CCMI has a range of volunteer opportunities available. Please email info@reefresearch.org for more info.